R. K. Sharma received M.Sc. Physics degree from Meerut University, Meerut in 1983, M. S. degree from Birla Institute of Technology and Science, Pilani, in 1993 India, and a Ph.D. degree from Banaras Hindu University, Varanasi, in 2003. He joined CSIR-CEERI in December 1986 and since then he has been working as Scientist with the Microwave Tubes Division, CSIR-CEERI, Pilani. His main area of research experience includes design and the development of electron guns, focusing systems and collector for broadband and high-efficiency traveling-wave tubes for ground and space applications, Collector efficiency enhancement techniques including graphite technology. His current area of interest includes microfabricated terahertz devices and multi-beam technology. During his tenure, he has been the key member in the successful execution of several TWT projects. 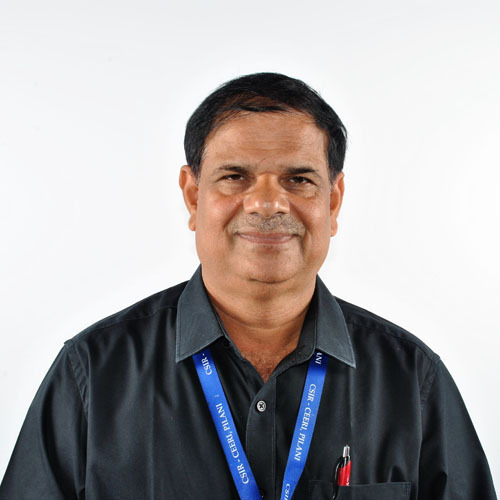 He has been the chief investigators of various sponsored and CSIR network projects in the past. He had been the Nodal Officer of CSIR Network Projects under 12th FYP with a participation of 8 CSIR Laboratory. He had also been the scientific in-charge of MWT common scientific facilities. Currently, he is the area coordinator of Microwave Devices Area and Scientist In-charge of Central Workshop. He is designated Professor under AcSIR. He has more than 170 publication in International and national journal and conference proceedings. He also has One patent to his credit. He Chaired the technical sessions in International Conference. He has visited abroad on deputation like Seoul National Laboratory, Seoul South Korea, as visiting scientist in 2004. Monterey, USA for presenting papers in IVEC-2006, Rome, Italy for presenting papers in IVEC-2009, Technical University Berlin as senior DAAD Fellow in 2010, Rugby, UK for equipment training in 2010, Saint Petersburg, Russia for presenting papers in IVESC-2014, Pohang Accelerator Laboratory, Pohang, South Korea as Expert Scientist of Electron gun in 2015. He is a life member of IETE, IFTA, IVS, IPA and Member, IEEE. He has supervised Ph.D. Thesis and a large number of M. Tech and B. Tech Dissertations.